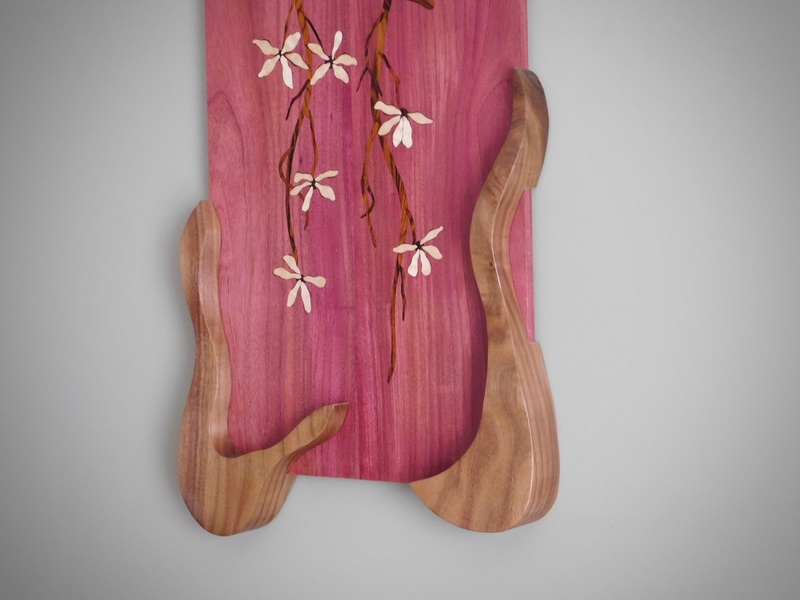 A purple heart (Brazil) panel, with an inlaid branch of Cocobolo (Brazil), and inlaid flowers, of quilted Maple (North America) . 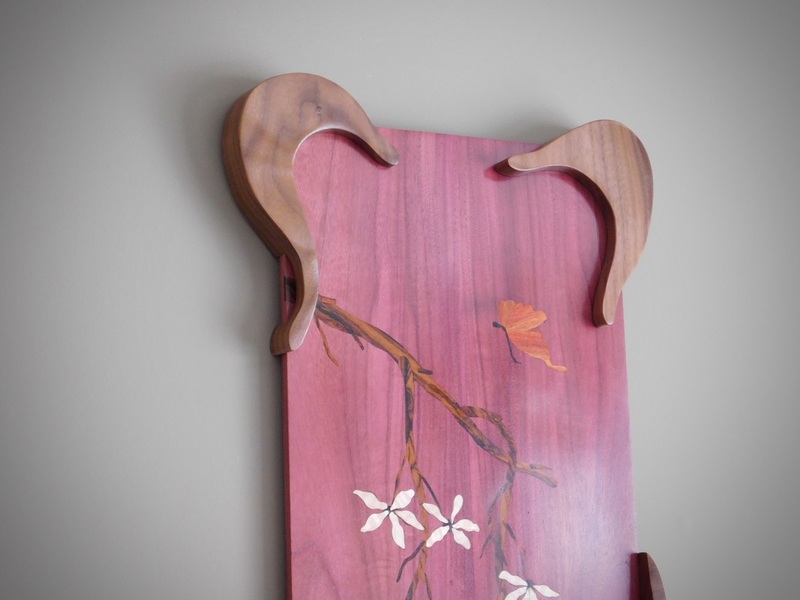 The butterfly is made of Bloodwood (Brazil) and Wenge (Cameroon). 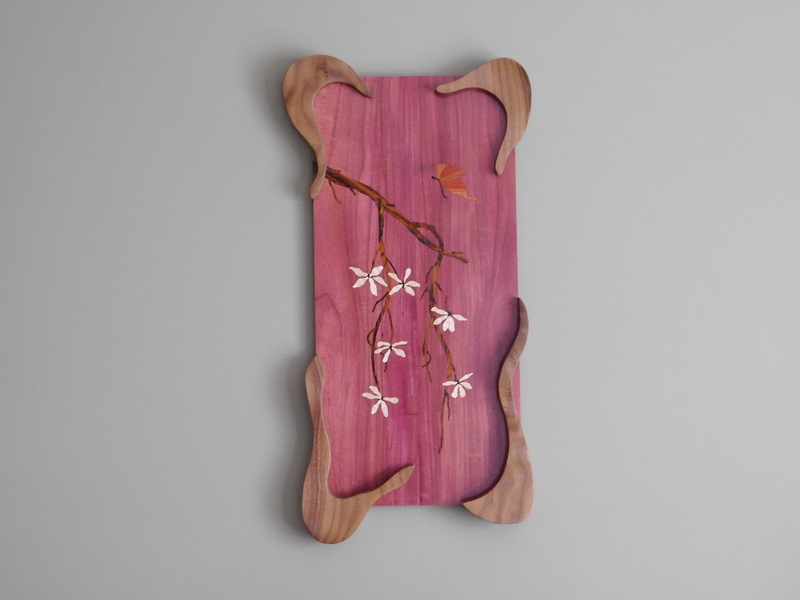 The unique original frame is carved out of Walnut (North America) I call this original a Segmented Frame. 12" x 24"